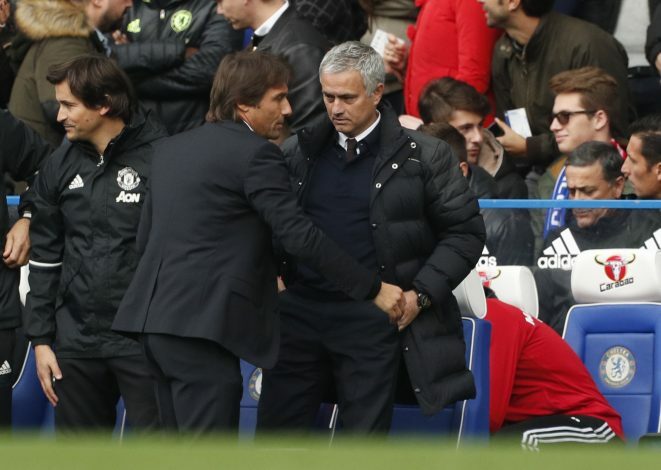 Antonio Conte seems to have taken a dig at his predecessor Jose Mourinho, by referring to his last season’s Chelsea squad as “ugly ducklings”. The Italian coach took over the Stamford Bridge job in the summer of 2016 and has since succeeded in transforming a struggling team into a fantastic unit – one which is currently on the right track to win the Premier League title. Conte was recently asked about this transformation the team went through at the start of the season, to which he replied: “I have blind faith in what I do. We had won the first three games, but I didn’t like the performances. It was a delicate time, but not dramatic. And those choices have certainly paid off, as the Blues sit atop the Premier League table with a 9 point lead over second-placed Tottenham. However, Conte still refuses to talk about the title, as he believes it’s too early to take things for granted. He continued: “There is no one particular team that worries me more. The experience of being a player really helps. I won the Champions League, but I also lost other finals and that made me more determined to win.